As of May 26, 2016, Emma Morano, a 116-Year-Old woman from Italy is the oldest living human in the world (currently the oldest living man is Yisrael Kristal, who is 113, an Auschwitz Survivor now Living in Israel). Update: Emma Morano has died on April 15, 2017, at the age of 117 years and 137 days. She is the only living person who was born in the 19th century! When she was born on November 29, 1899, there were about 1.5 billion people on Earth. Now every single one of those 1.5 billion people is gone -except Emma- and there are approximately 7.4 billion entirely new people here. She had a long-lived family: her mother, an aunt and some of her siblings turned 90, and one of her sisters, Angela Morano (1908–2011), died at age 102. In 1899, Italy was still a kingdom (this status wouldn’t change until the Italian constitutional referendum in 1946). The automobile manufacturer Fiat is established in Turin in July, just a few months before Morano was born, by a group of investors including Giovanni Agnelli. The company would become the major car-making industry of Italy. The first Fiat plant opened in 1900 with 35 staff making 24 cars. Soccer club A.C. Milan is founded in Milan on December 16, shortly after her birth. When she was born, there were no airplanes on earth. 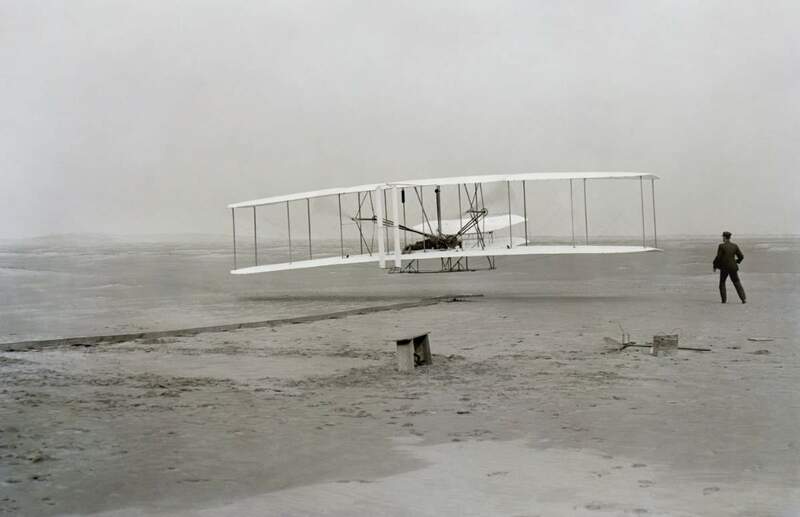 The first flight of an airplane, the Wright Flyer (built by the Wright brothers) took place on December 17, 1903, more than four years after Emma Morano was born. On November 29, 1899, The FC Barcelona Association football club is founded, on the same day, she was born. Morano says that staying single is one of the reasons why she has reached 116. When she was younger, she was in an abusive marriage and left her husband in 1938. After that, Morano said she “didn’t want to be dominated by anyone.” Morano still lives on her own. She says her daily diet consists two raw eggs and a cooked one, minced meat, pasta, homemade brandy, and only having a glass of milk for dinner. She diagnosed with anemia at 20, and she maintained this diet since then. French supercentenarian Jeanne Louise Calment (21 February 1875 – 4 August 1997) has the longest confirmed human lifespan on record, living to the age of 122 years, 164 days. Previous PostNile Crocodiles Have Been Found in FloridaNext PostWhere Earth’s water came from?